Attention all busy students and professionals: there’s a new 24 hour laundromat in Teaneck, NJ – and it has free WiFi! Earlybird Laundromat at 1560 Teaneck Road in Teaneck, NJ is the perfect place to kill two birds with one stone (pun intended). Stop by anytime of day to do a load of laundry while you catch up on email or browse the web on your laptop. Or, if you’re looking for a break, you can take advantage of a little downtime by relaxing in front of a big screen TV or playing video games while you wait. Earlybird Laundromat was designed with you in mind. We all know that doing laundry is, to put it bluntly, a complete bore. But it’s something we all have to do, so we might as well try to enjoy it. That’s why we at NJ Laundromats have invested so much time and thought into creating an overall great experience for our customers. Whether it’s six in the morning or 11 at night, Earlybird Laundromat is always open and ready to serve you. 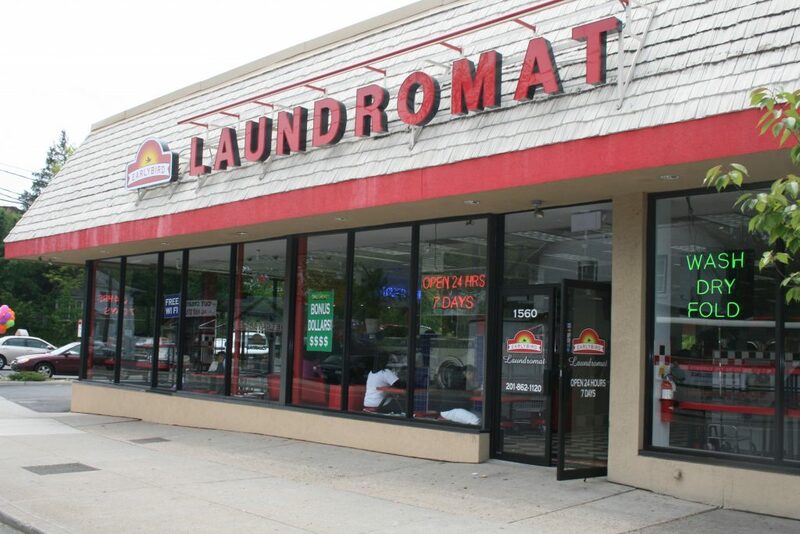 Come check us out at 1560 Teaneck Road in Teaneck, NJ on your next laundry day. We look forward to introducing you and your clothes to what we like to call the dawn of a better laundry day.